Home » Vrinda Speaks » Jewelleries are precious…Take Care! Whatever be the circumstance… You don’t forget to style. Right? Whatever you wear… you’ll obviously want to take your best friends along with you…? Your best friend… Didn’t guess it, right? Nothing…but, your Jewelleries! Let me now take you through the right amount of attention that your jewelleries need. Be it a regular office goer or a traveler by profession…you must definitely be running a busy schedule. 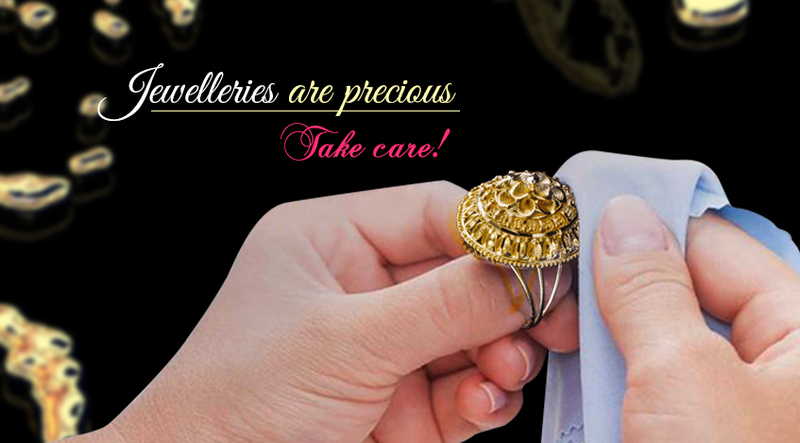 You also have no time to keep a check, clean or polish your gold rings, chains, and even your favourite diamonds. Check if they need a reasonable polish. Scrutinize them every 6 to 12 months. A gentle swipe with alcohol wipes can also work wonders! Excessive Heat? Keep your Jewelleries away! Did you know? Your gold and diamond jewelleries are vulnerable to heat? They tend to bleach and develop cracks under summer’s sun. Ensure that your jewels are away from terrible heat. Jewelleries and Chemicals? A big No! You have to use hairspray, perfume and cosmetics…whenever you go. Right? But before you apply those chemicals…Ensure that you remove your gold chain or bangle, to avoid discolouration. Plastic ziplock bags or pouches for jewelleries? Not smart! Soft individual pouches with separate labels are way to go! You can even box them up by having separate sloths for each jewellery pieces, to save them from scratches, breakage and getting tangled. Monsoon brings swelling humidity. Just because your jewellery is sturdy, Moisture will not affect it? Try placing them inside slica gel bags to avoid your jewelleries from getting oxidized or tarnished. 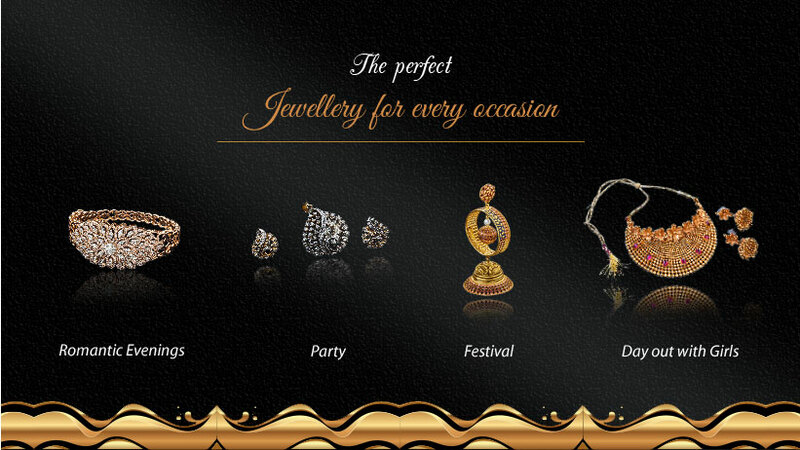 We understand the significance of your jewelleries in your life. Dazzle with these tips until we follow you up something new.